A healthy life does not only mean a healthy body but also a healthy mind. If you have been thinking too many negative things over the past months, it’s time to quit doing that now. A lot of health problems stem stress. It even slows down mortality. It is a known fact that smoking has deleterious effects on our health. It is the main menace of respiratory problems, lung cancer, and heart diseases. If you find it difficult to quit smoking, a Home Rehab in Denham Springs, LA can systematize rehabilitative techniques to help you live a normal life and eschew smoking addiction. 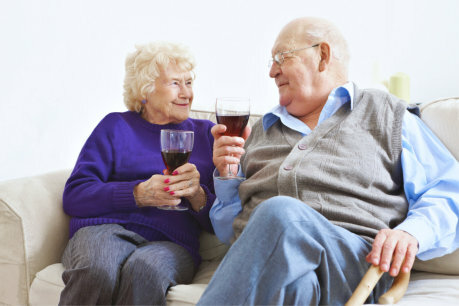 If you are a person who suffers from diverse health conditions, it is best to avoid or minimize alcohol. Doing so can help you avoid the risks of diabetes, heart diseases, high blood pressure, coronary artery disease, and many more. A Home Care in Pierre Part, LA provides health management to help you maintain healthy habits all year long. Sleeping is as important as eating. It is in our sleep that our body repairs and reenergizes. Hence, we should prioritize a quality sleep. 7 to 8 hours of sleep is recommended for adults. This entry was posted in Bad Health Habits and tagged diverse health conditions, health habits, health management, quit smoking. Bookmark the permalink.